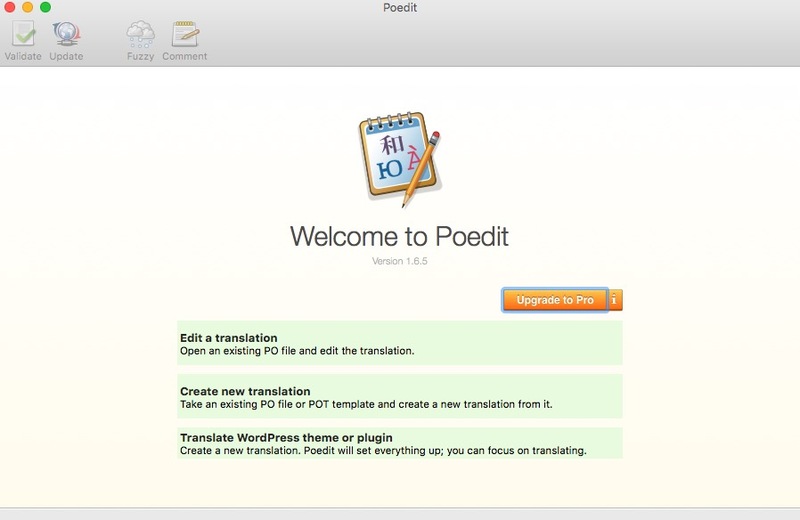 This article gives detailed information on how to use POEDIT software to translate Our themes. WordPress needs translation files with the PO extension which consists of comma separated Text Domain and Translation pairs. This PO file needs to be compiled to the MO extension for WordPress to understand the translation and apply the necessary changes. 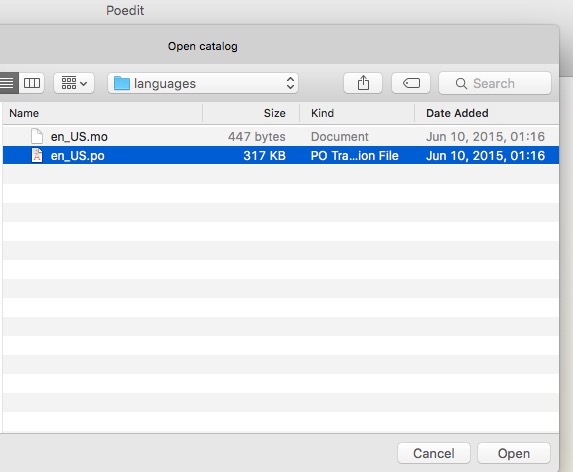 Our themes have the English language PO and MO files available in languages folder of the theme root directory. To make a permanent translation which will not be deleted on each theme update you need to copy the whole languages folder including the PO and MO files to your Child Theme. Then you can open up the PO file with POEDIT software to do the translation and generate the necessary MO file for WordPress. For more information about theme translation read this article. To install the software follow the standard installation process you would do for any software on your operating system. After that run the software. To get support on how to install the software click here. 2. Open Up the PO File of Your Child Theme. 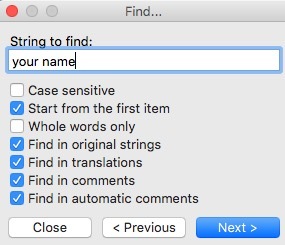 Go to Files > Open menu or use the Control + O for Windows and Command + O for Mac to open up the PO file you already copied to your child theme under the languages folder. 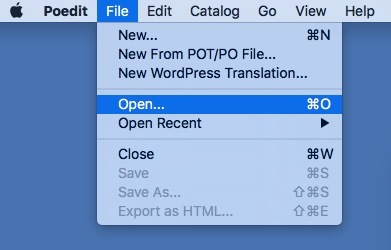 Alternatively you can click on the Edit Translation button at the starting page of the software to open up your desired PO file. 3. Check the Possible Translation List. You will be presented with a possible terms list that you can translate using the software. 4. Find the Desired Term to Translate. In this case we are looking for Your Name term which is presented as default in the Contact Form Name Field. 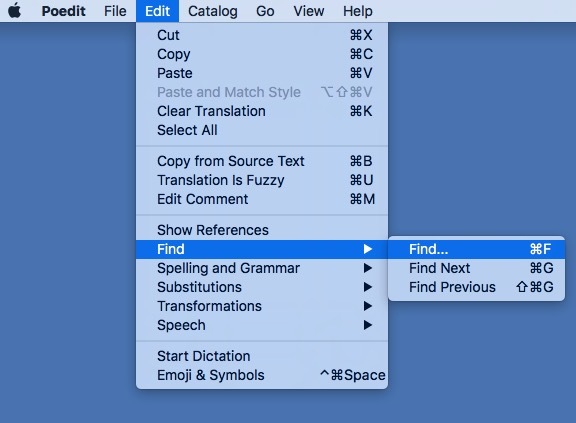 To find the term go to Edit > Find > Find… menu or use Control + F for Windows and Command + F for Mac. Doing so will show a Find popup window which you can use to search your desired term. In our case “Your Name”. Click on the Next button to show the term you looked for in the main list. 5. Select the Term from the List. Select the term you have found from the list and it will be added in the Source Text section below the list. Use the Translation section below the Source Text area to translate the term. In our case we just change the term from “Your Name” to “My Name” for the sake of demonstration. 7. Repeat the Steps for Other Terms. Repeat the steps above to translate other terms you want. In our case we changed “Your Phone Number” and “Your Email” terms to “My Phone Number” and “My Email”. 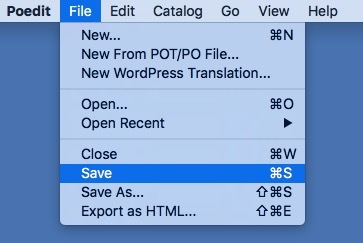 Go to File > Save menu or use the Control + S in Windows and Command + S for Mac to save the changes. Upon saving, the software auto generated the MO file which is in the same directory of the PO file you already edited. The MO file is the main compiled file which WordPress understands and applies the translation with. 9. Check the Translation in the Front End. 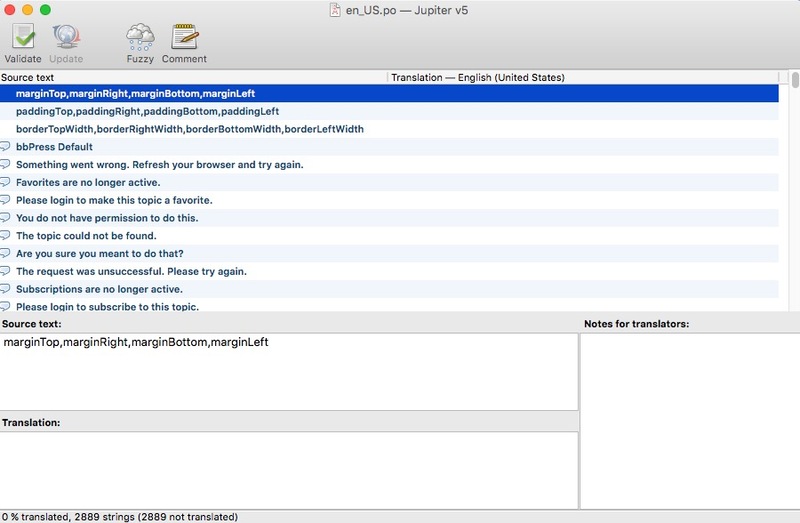 Go to the front end of your website and you will see your translation applied. Note: You need to make sure that you activated your Child Theme and cleared your browser and theme cache.